Recognise the grinning fella in the photo above? It’s Jeremy, our sport-loving main operations man in Sydney, on-site at Spotless Stadium for the Sydney 7s. In any given week Rugby Australia broadcasts carnivals and tournaments live to hundreds of thousands of sports-loving Aussies across a range of platforms, all over the country. Phew, just thinking about it makes us want to wipe the sweat off our brows. The way they bring their events to the masses and find new ways to support their teams, patrons and sponsors at in their packed event calendar is exactly the feat of precision logistics you’d think it is. It’s a complex system of logistics and essential functions that require managed internet for live streaming, live scoring, access for visiting teams and powering HQs on the field. A crack team of pros pull all the elements into a lean and efficient execution that we’re super proud to be a part of. Last year Rugby Australia removed several steps from the process of getting temporary WiFi on site by leasing a unit annually and simply hiring extra units for their bigger events when needed. 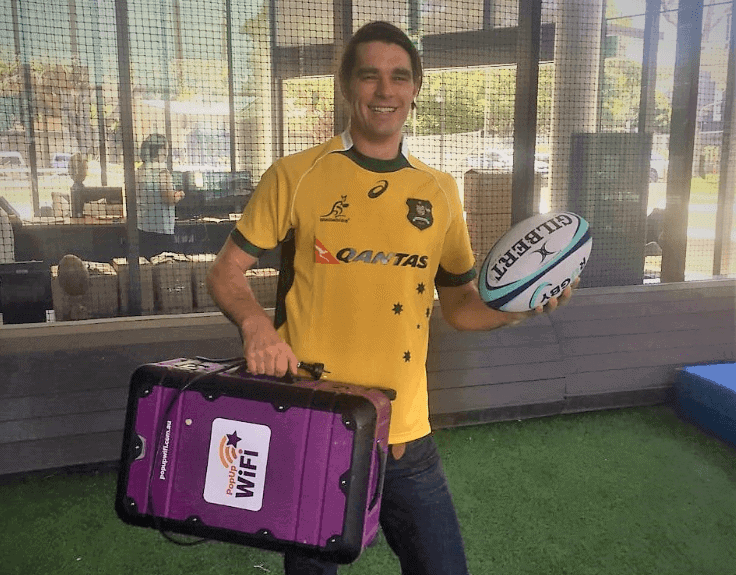 Not only do Rugby Australia have WiFi whenever and wherever they need it, their long-term lease saves them 75% off their annual WiFi bill. Add that to the hours freed up by eliminating the need to order, dispatch and return their PopUp WiFi units after every activation – Rugby Australia is really on the ball. Would premium WiFi-on-tap make your life easier? Get in touch to find out. 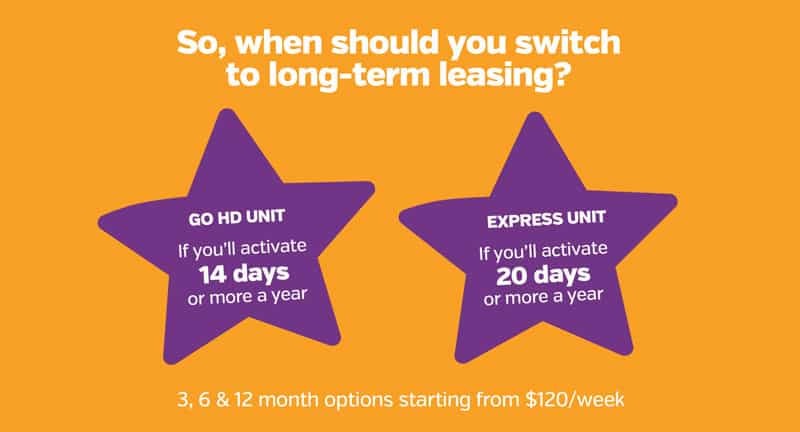 Here some of our other long-term leasing customers (you’ll be in great company).